Timestamps: [00:01:47] reaction to/review of the recap episode (s2e7); [00:13:49] reaction to/review of Hero Chapter ep. 1 (s2e8?). Yuki Yuna Is A Hero, Yuuki Yuuna Wa Yuusha De Aru, YuYuYu, Yuna Yuki, Mimori Togo, and all related characters and intellectual property belong to Takahiro, Studio Gokumi, Pony Canyon/Ponycan, and any other person or entity they belong to not explicitly named here. This video is a review and uses clips to illustrate our points; it is Fair Use by law and in practice in both Canada and the United States of America. 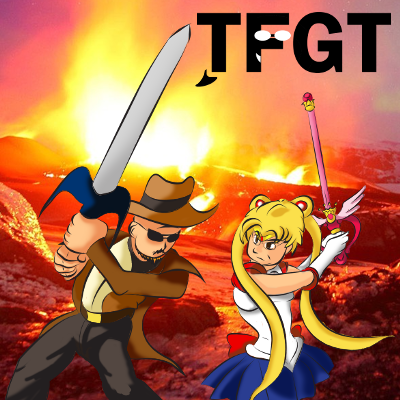 Questions/concerns should be directed to tfgtg2@gmail.com with the subject line "Re: Yuki Yuna Anime Rave reviews." The following video is in WebM format. Why? Well, WebM videos render way smaller (like 70% to 90%, no joke) than MP4s and are still broadly compatible. Chrome and Firefox will play WebM videos; Safari and IE/Edge will not, nor will iPhones/iPads with ANY browser (blame Apple for that one). You can also download the video to play in VLC or some other media player. Apologies for any inconvenience caused.